Posting wildlife photos on social media is as quintessentially Vermonty as driving a mud-splattered Subaru in March or boasting about close-encounter-with-Bernie stories to out-of-state friends and family. But lately, it seems, Green Mountain folks have been posting an unusually large number of pictures of owls they've spotted out and about during daylight hours: perching in backyards, roosting near barns, lurking near bird feeders. The mere mention of this frequent feathery phenomenon at a recent Seven Days meeting elicited a barrage of similar reports. Why does it seem that Vermonters are suddenly enraptured by raptors? One likely explanation is, there were many more owls to be seen this winter, which raises the question: Why? For a state with no Hooters eateries, Vermont seems to have a sudden abundance of hooters' wings. Don't chalk it up to the Great Bunny Boom of 2017. 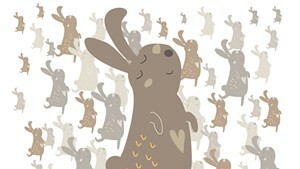 As we chronicled in this column two summers ago, Vermont saw a cornucopia of cottontail conies overrunning Vermont's vegetable gardens and clover patches. Turns out, this winter's owl opulence is occurring among a fairly common Vermont breed that generally doesn't hunt rabbits: Strix varia, the barred owl. The barred owl's call is easy to recognize, as most Vermont schoolchildren learn from the mnemonic, "Who cooks for you? Who cooks for you all?" These wide-eyed wonders weigh only one pound, which may help explain why we're seeing more of them lately around human areas. Their diminutive size is a handicap in the raptor world. "We are definitely seeing more [owls] come in, and we're definitely getting reports of sightings of various kinds," confirmed Lauren Adams, lead wildlife keeper at the Vermont Institute of Natural Science in Quechee. Adams couldn't say for sure what's causing the increased owl occurrences. 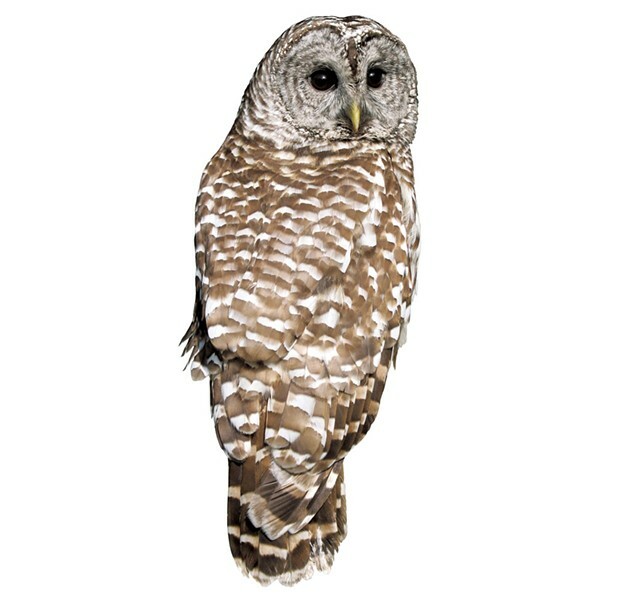 But this winter's barred owl bounty — other raptor rescues are at normal levels — probably has a lot to do with the higher availability of small rodents last year, including squirrels, chipmunks and mice. Typically, her staff will see more young barred owls following a very productive and successful owl breeding season. And when more food is available, more owlets survive into the winter. But for barred owls, as with other raptors, winter is the most difficult time of year to hunt because their prey have more places to hide. For example, 80 percent of all juvenile red-tailed hawks die in their first winter due to starvation and other mishaps, according to Manchester falconer Austin Ebbott. First-year owls — that is, those that have never overwintered — are especially at risk, Adams explained. The deep snowpack this time of year, which gets harder with springtime cycles of thawing and refreezing, is more difficult for the lightweight barred owls to punch through; their beefier brethren, such as the three- to four-pound great horned owl, are better equipped. As prey becomes scarce, more experienced birds squeeze younger individuals out of remote hunting territories. Young barred owls are driven to roads, driveways, parking lots, backyards and other areas with less snow cover. These spots offer easier meals from bird feeders and the occasional roadkill. But roads and wildlife are never a healthy combo, Adams noted, and vehicle strikes and other human-related injuries resulted in more barred owls needing rescue this winter. In recent months, VINS has averaged about 15 barred owls in its care at any given time, on top of its five permanent owl residents. Since January alone, Adams noted, her team of wildlife experts has taken in more than half the number of barred owls it rescued in all of 2018. Typically, they come in weak, emaciated and dehydrated. But the fact that people are seeing more owls during daylight hours isn't necessarily a sign that they're sick or malnourished, Adams noted. They sometimes hunt in daylight but are more active after dark. Is there anything people can do to help the young barred owls? Or should they simply let nature run its course to restore the equilibrium? Adams advised that if Vermonters find an injured avian, they should call the VINS Wild Bird Hotline and then coax the bird into a cardboard box or pet carrier, equipped with water but no food. She recommends always wearing gloves when handling injured birds — for your own protection, not the bird's. "There's a myth that if you touch a bird, your scent gets on it, and somehow it won't be able to be returned to the wild, or it will be rejected," Adams said. In fact, birds actually have a very poor sense of smell, she added, and mother birds won't reject their babies if you pick one up and plop it back into its nest. Also, VINS recommends that people not feed owls, as this acclimates them to human areas, where they're more prone to human-related mishaps. Owls generally won't pester domestic pets such as cats and small dogs, though occasionally they will stalk poultry. Finally, Adams said, VINS strongly advises against putting out poison to control rodent populations such as rats, because birds of prey will eat the poisoned critters and become sick themselves. Wise words from Vermont's leading talon agency. Found an injured bird? Call the VINS Wild Bird Hotline at 359-5000, ext. 510.